You are not going to experience serious issues when your body retains water occasionally. It could happen when you eat a salty meal, but your body usually recovers on its own. However, if you continuously notice symptoms of water retention, it could be because you are suffering from a condition called edema. It is important to know signs of water retention and go talk to your doctor about what you can do about it. Here is more about it. If you notice a rapid increase in weight, this could be because your body has started retaining more water than it should. It takes time to put on fat, but you will notice a sudden increase in your weight due to the extra water in your body. Another sign of water retention is joint swelling, which is also related to an increase in weight caused by all the extra water in your body. That buildup of water can also affect your muscle function and cause weakness and pain in the body. You may have tender spots on your limps, have difficulty walking, and even have stiff joints throughout the body. It means that the extra water is making it hard for your heart to pump blood to all parts of the body. This usually happens when your legs and arms swell up due to water retention. This puts strain on your heart and often makes you feel that your pulse rate is going up. Over time, this could result in to heart and vessel damage. This happens because water retention an affect the flow of blood. You may notice that you are flushed in certain areas and have pale spots in other areas of the body. That is mainly because the blood circulation is compromised. If you press on to your skin, you may notice an indentation or pit. Edema can lead to general swelling of tissues, and it can also affect the tissues in your lungs, which in turn will make it difficult to breathe. Extra fluid may accumulate in your lungs that can make it very hard to breathe. Wheezing, hoarseness, and coughing are some signs that you might have excess water around your lungs. Check your legs, hands, feet, and ankles for any signs of swelling. Water retention is first to affect these extremities. Check if your rings have become tighter than before. Suddenly ill-fitting rings may indicate swollen hands. Bracelets and wristwatches offer similar clues. Check if you have a ring around your legs after removing your socks. It is important to ensure that you are using well-fitting socks in the first place. Press on any swollen area on your body and then release. You may have pitting edema if indentation stays there for a few seconds. Sometimes, you have water retention but do not have the indentation – this happens when you are a non-pitting form of edema. Stand in front of a mirror and check if your face looks swollen. Swelling or puffiness may indicate water retention. The idea is to stay hydrated, and for this, you should aim for 8 glasses of fluids per day. You may also pay attention to the color of your urine – you need to drink more if it looks yellow and concentrated. 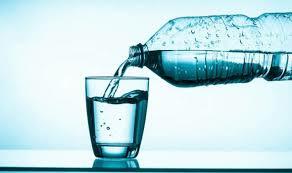 You may need to drink more water if you have an active lifestyle because you may be sweating and losing water quickly. Your body starts retaining water if you are suffering from dehydration. Therefore, you should drink fruit juices, water, herbal teas, as well a non-caffeinated beverages to stay hydrated. Stay away from alcohol and caffeinated beverages. Sugary drinks should also be avoided. You are going to retain weight if your food is laden with sodium. Therefore, you should limit the intake of sodium and avoid deli meats, processed foods, and salty snacks. 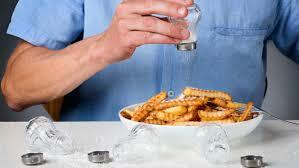 Avoid adding salt t your cooked meals at the table. Also, enjoy fresh vegetables as well as lean proteins, grains, and low-fat dairy products. 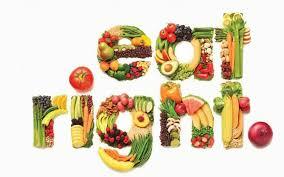 Your diet should be a combination of vegetables, whole grains, fruits, and other high-fiber foods. Be sure to have six servings of grains every day along with four servings of veggies. You can eat a cup of raw leafy veggies, such as kale, spinach, and lettuce to get recommended daily intake of veggies. You should also have four servings of fruit every day, but be sure to eat a variety of types and colors. One medium sized fruit equals one serving. Check the labels if you are going for canned fruit – you do not want anything laden with extra sugar. You do not have to spend hours upon hours in the gym to stay fit; a 20-minute workout session involving moderate intensity exercise will do. 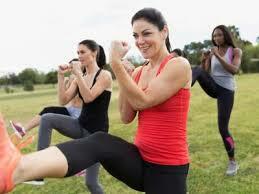 You can simply go hiking or take a walk with friends, ride a bike, go jogging, or go swimming to stay fit. Bike riding is a great exercise as well. You may have swollen feet by standing for too many hours. To reduce swelling and prevent water retention, you may consider elevating your feet and legs for some time. You need to keep your feet elevated above your heart level – they should 12 inches about the level of your heart to help fluids to go away from your legs.